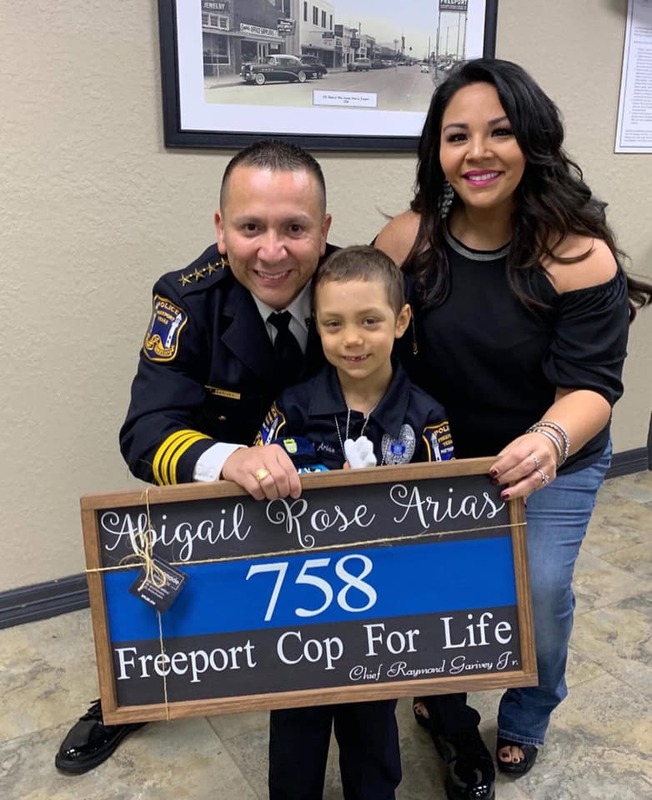 Abigail Arias, a 6-year-old girl with kidney cancer, had one big dream from a young age: becoming a policewoman. 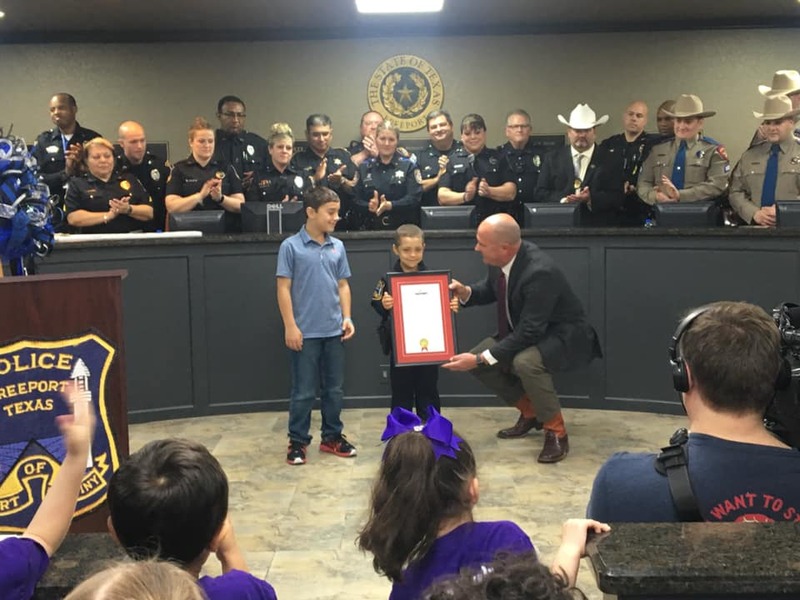 Yesterday, that dream came true when she was officially sworn in as a “policeman for life” in the Texan city of Freeport. Abigail has a Wilms tumour, a rare form of kidney cancer that occurs in especially smaller children. “The chemo and radiation have not worked. She is now in God’s hands, her family is praying for a miracle,” police chief Raymond Garivey Jr. said to news channel CNN. “The doctors have said that it is time to enjoy life,” her mother, Ilene Arias, told local TV channel KTRK. “Extremely heavy, we cried for weeks,” she added. 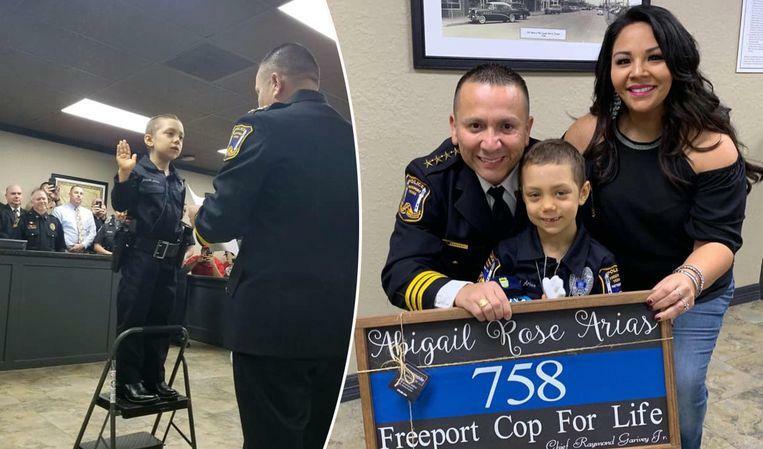 The police chief contacted a company that created an adapted Freeport uniform, specially designed for Abigail. Abigail Arias also got a real police belt. During her swearing in, she was surrounded by her family and policemen from all over the state. “A magical moment”, according to the police chief.